Thus, we have created this article solely to enlighten you on how to understand pesticides through the label better. Also, we have provided you with all the essential information you need to know about the pesticide label. I sincerely hope you find this guide useful to your farming career. Happy reading! Whichever category a pesticide product belongs is a function of the level of hazards the pesticide product release to the environment. It also provides the details on measures to take during transportation and storage. Another way we can classify pesticide is through what we use them for. Some examples of pesticides are herbicides, insecticide, acaricide, fungicide, nematicide, bacteriacide, etc. What is a pesticide label? Pesticide label is a piece of information attached to the pesticide container which bears all the details about such pesticide, its application, the active ingredients, and the targeted pests. Pesticide labels provide you with substantial information about the safety and proper handling and use of a pesticide for pest control. In contrast to several other labels, pesticide product labels are legally binding. This implies that you may be prosecuted if you use a pesticide product for other purposes rather than its natural use in pest control. Failure to comply with this regulation may lead you to face the law. Countries handle the punishment associated with the use of pesticide products especially in harming others. Notwithstanding, every country frowns at using pesticides to effect heinous crime. To make you understand it better, the label in itself is a law! Pesticide label supply critical information about the product, correct usage, and warns against potential health and environment hazards that may arise from using such product. This will help you to be better prepared in case of any unforeseeable accidents. Here are some of the key stakeholders and their roles in regulating pesticide labels in the United States. It is different from countries to countries. The regulating bodies are tasked with evaluating data and ascertaining that evaluation results were set in the best conditions. Also, they will assess the cost of the pesticide and how long it will take before its declared save to enter the venue of application. The requirements for pesticide labels differ across all countries. However, you can find the guide that guides members of the project management team who have the responsibility of conducting label reviews in the label review manual. Labels must be easy to read, clear, concise and perfectly communicate the product information to you as a user. How do I know how toxic a pesticide is? Sometimes, we get curious to know how toxic a pesticide is. In another occasion, we feel like testing our secondary school chemistry in determining the level of toxicity of pesticides. On no accounts must you test pesticide on livestock or other animals other than the pest recommended in the label. Failure to comply with this can lead to prosecution. You will see information on how toxic a pesticide product is on its label. However, in a case where additional information is required, some pesticides come with leaflet. Do well to read it carefully. Sometimes, we are confused as to what distinguishes label from labeling. They sound similar, right? Their meanings are very different. Now, let’s see the difference between the two words. A label is any written, printed or graphic matter on, or attached to the pesticide or device or any of its containers and wrappers. Labeling, on the other hand, includes all labels written, printed or graphic matter that accompanies the pesticide to which reference is made on the label. As stated earlier, a lot of us are guilty of failing to read and understand the information on the pesticide label correctly. This is not because you are illiterate or because you have no time read. Often, it is because you are overconfident, and get swayed by your experience in the application of different pesticide products. However, it is imperative for you to read the label. Before you select a pesticide product, ensure to read the label to see if it is suitable for your region and the soil type. Also, while mixing the product, read the label to be double-sure that you do not miss out on any procedures. Guide against the waste of money in purchasing or using the wrong product or quantity. You may be quite unfamiliar with some words you will often come across on the pesticide label. While we will do justice to that later, let us examine briefly the forms that pesticides take. The brand name features at the front of the label, and it is used in the identification of the manufacturer’s product. For example, when you see names as Force-up or Round-up on a product, which is the brand name. However, even if you observe that two products have similar or the same active ingredient, their brand names may be different entirely. This is dependent on the company that registered the product. Also, it can be as a result of manufacture registering it with the Environment Protection Agency (EPA). The pesticide label often contains information about the product. This is typically a number that tells you that the product has been reviewed by EPA and declared safe to use as a pesticide. Also, the EPA guide will show you the minimal risk associated with the use of each pesticide product. Many pesticide labels often contain a special warning to all users. Some of the most popular warning inscribed on pesticide labels includes “READ THE LABEL BEFORE USE” – suitable for all pesticide labels. Since it is legally binding to use the pesticide for its intended purpose, most pesticide labels contain a warning to users. It compels the users to only use product according to the instruction on the label. The net content shows you the amount of pesticide in the container. Most liquid chemicals exist in one liter for both pesticides and herbicides. For solid, you can be sure that the weight will be printed or written somewhere by the corner of the pesticide container. You are mandated by law to provide information about the name of the maker, the address established, address and contact of the business. When you see an EPA number on your pesticide products. You can be 100% sure that such products have been fully registered with EPA. The signal and symbols on pesticide labels indicate the level of toxicity of a pesticide product. Some of the commonly observed signal words include the skull and cross bone which means that such product is very toxic. Also, if you see the warning symbol, then you can know that such product is moderately toxic. With caution, the pesticide product is slightly toxic. It shows the degree of toxicity of pesticides and provides information on how to treat someone that is injured from the pesticide use. Also, this part will tell you the presence of other ingredients that may affect the treatment. As farmers or gardeners, the majority of us are guilty of this aspect. Most times after carefully reading the part that states the protective clothing, we tend to ignore it. Pesticides are harmful, and the label is there to protect us from hazards. Endeavor to wear any protective gadgets as recommended by the label; from the nose, mask to goggle, gloves and overall. In a situation where you or someone else accidentally swallow a pesticide product declared as very toxic, the label will contain information on steps to take the first aid before you seek medical attention. It contains the relevant information on how to effectively use a particular pesticide product in eliminating the target past. The amount of pesticide to be used per acre or hectare of land, the liter of water, etc. All pesticides have their targeted species of organisms. For instance, an insecticide although primarily made for the control of insect may be toxic to other organisms like birds and earthworm. Pesticide labels carefully show what to expect when applied and the ranges of pests affected. This section specifies if the pesticide product is capable of causing harmful or injurious compounds to the environment. It will show if the pesticide product is harmful to the aquatic life such as fish, crab and other creature living in water bodies. It will also let you know if the pesticide is toxic to beneficial pests and other organisms such as bees and earthworms. 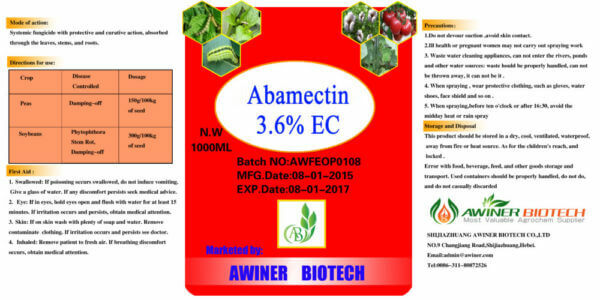 This is associated with the limitation on harvest interval, adverse effect of pesticide on the environment, crop rotation limits, and instructions on use against certain crops or site including animal restriction. Also, when you want to dispose of an empty container for pesticides, you will see how to safely destroy the container so that it will not be used in storing food or other food products. Use the recommended amount of pesticide. Excess can lead to adverse effect on human, pets, livestock, etc. Also, if you apply below the recommended rate, you will probably end up wasting money. 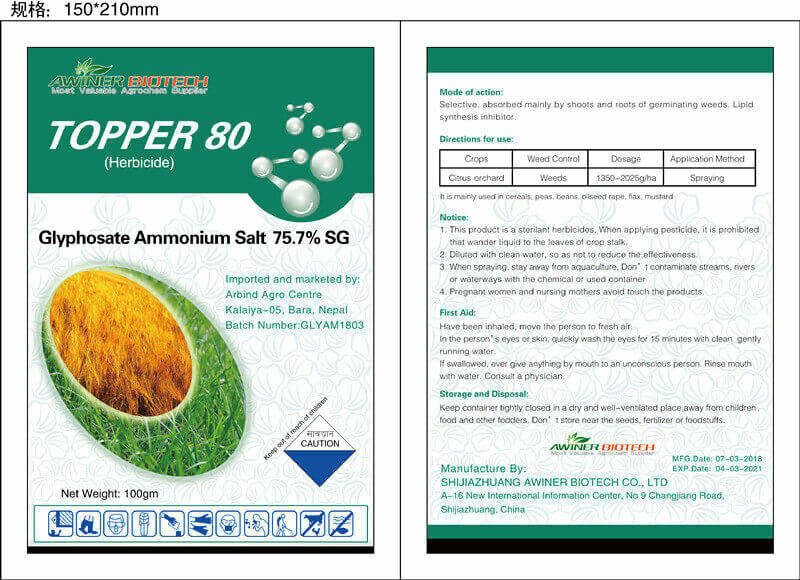 Don’t assume that a pesticide product is multipurpose; that is, don’t jump into conclusion that since it works with A, it has to work with B too. Read the label to clarify! Spend your money on the exact amount of the required pesticide as there may be no adequate storage for the unused ones. Do not try to commit the instructions on the label to memory. You may forget when least expected, thus the need to read and re-read pesticide label until you are through with your application.